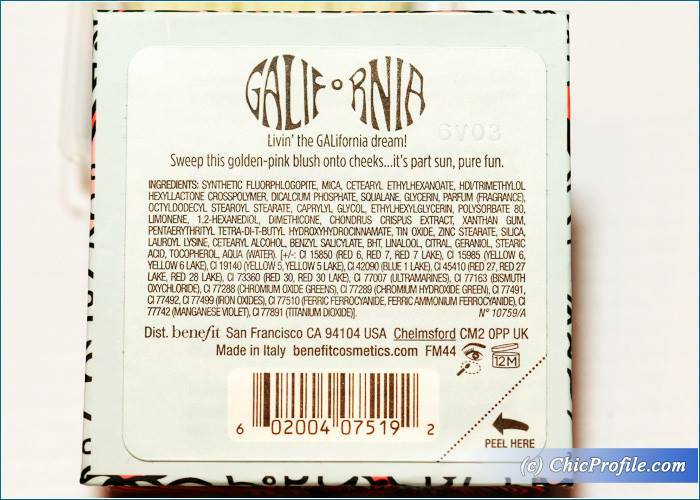 Benefit GALifornia Blush ($29.00 / 165.00 Lei for 5.0 g / 0.17 oz) is medium golden-peachy-pink with warm undertones and fine golden sparkle. 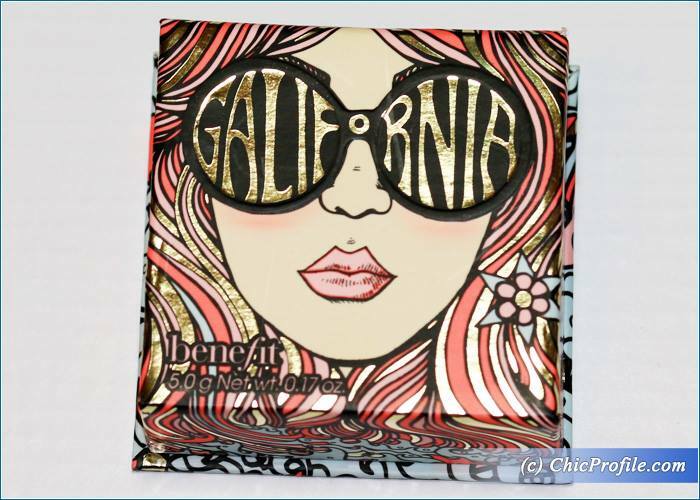 It has a golden overspray as it shows in the promo photos and once you swatch the product, that golden sparkle is gone. 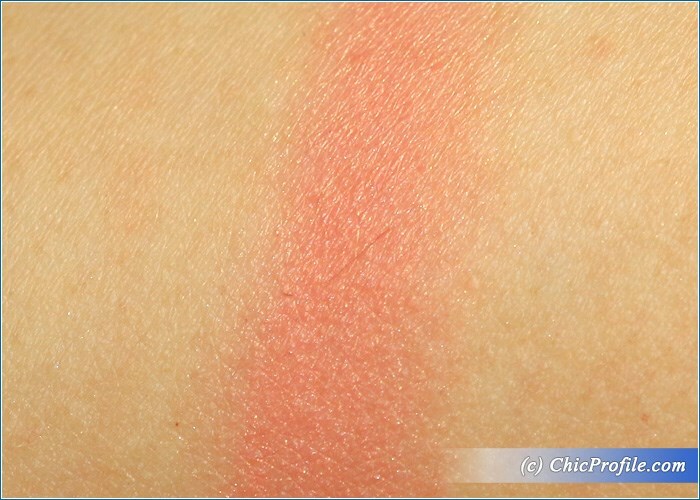 I’m sorry but I just couldn’t help swatching the blusher before I had the chance to take close-up photos so you can’t really see the golden overspray so well. Being sweet peachy-pink with a fine twist of golden shimmer it really makes it suitable for those sunny days and hot summer weather. It kind of give you that nice summer glow in just one swipe. 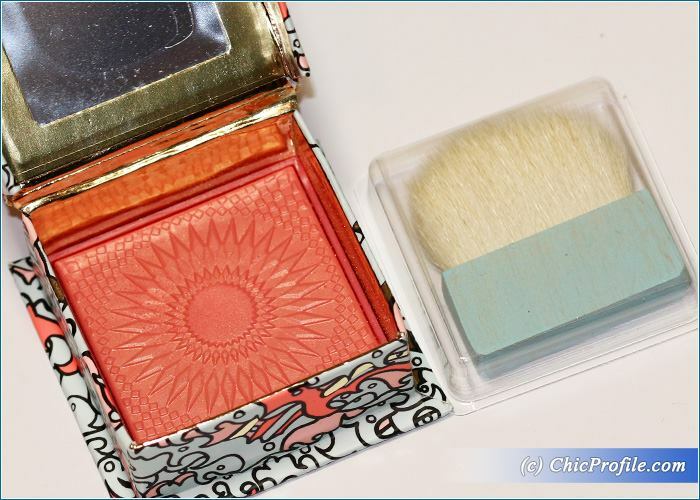 It comes packed in a hippie cardboard box with a mirror enclosed and a rounded mini blush brush. 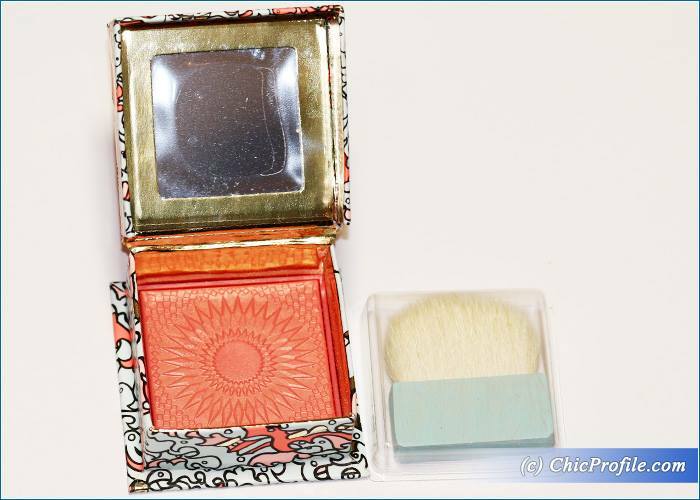 It has a nice color payoff, quite pigmented but not too bright, just perfect even for those with light skin tones. You can definitely build up the color if you want a more intensity, especially if you are a darker skin tone but just as well you can use it if you are a very light skin tone and keep a light hand when you apply the product. 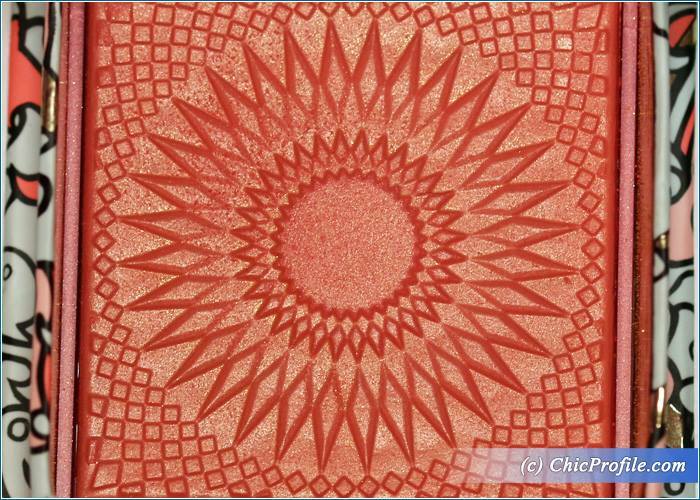 I absolutely love the pattern (actually one of the reasons I bought this product 🙂 ) while the texture is fine but without being too soft or silky to the touch. I picked up product with my brush without kicking off too much excess powder and had a beautiful application without any fall out. It has a scented formula with notes of pink grapefruit and vanilla so it really smells like a dream when you open the packaging. I had around 7 hours wear with this formula before it started to fade from my cheeks. I do believe it’s a bit pricey here in Romania comparing with the prices that other countries will have so it will be best to test it for yourselves in the store before you buy it if you have the chance. 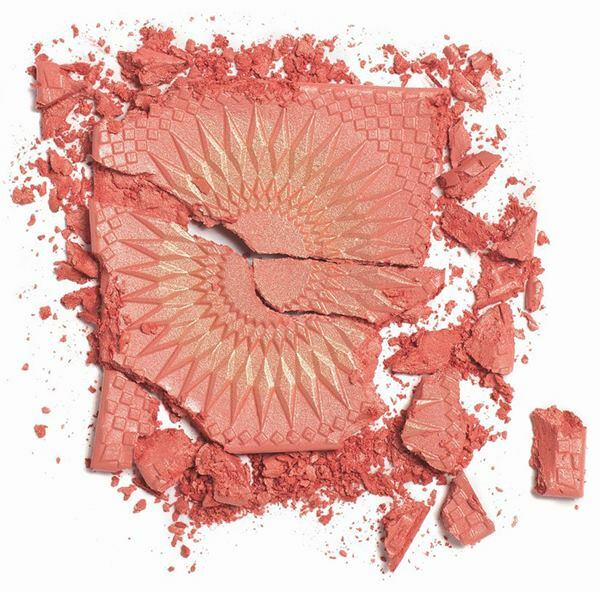 Bobbi Brown Crushed Lip Color AVAILABLE NOW!